Home > Resources > Backup Samsung > How to Backup Samsung Galaxy to Cloud? If you are a Samsung Galaxy S7/S7 Edge/S6 user, you might want to backup all your important Samsung mobile device data to the cloud. 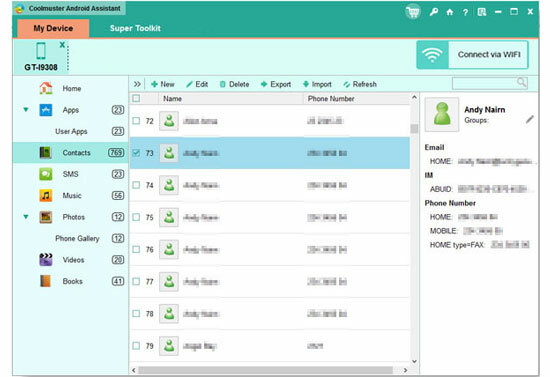 After all, files can be lost easily from the Samsung device, no matter because of accidental deletion, device formatting, system corruption and so forth. In the following part, we focus on telling you how to setup a Samsung account, to help you backup Samsung to cloud and how to use additional application to do Samsung cloud backup. Step 1: Tap "Settings" on your Samsung device and scroll down the screen until you find the option of "Accounts and Sync". Just tap it and click "Add account" on the pop-up screen. Step 2: Tap Samsung account. Then, create an account. Enter your email, password and others. 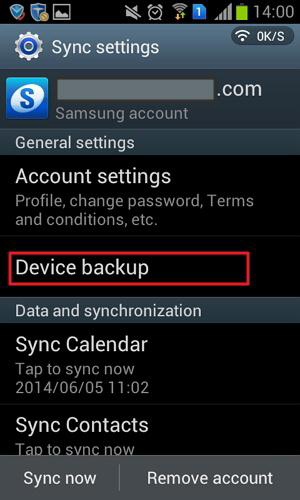 Step 3: After signing into your Samsung account, tap your Samsung account > Device backup. Choose Backup options. Step 4: A small dialog pops up. Tick Samsung data you want to backup. In fact, you can backup logs, SMS, MMS, and settings. Then, tap OK. Step 5: Then, tap Back up now to back up your wanted data to samsung cloud. 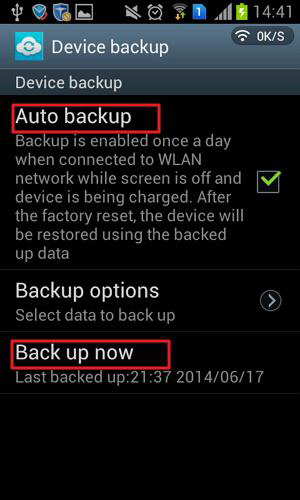 Or you can tick Auto backup to let samsung phone backup data once a day automatically. You can also use additional applications to help backing up your Samsung Galaxy to Cloud. Here, we list top 5 apps for your choice. Just click to read more about them to pick out the most ideal one. You can download it for free from the following button. Click on the file types you want to backup from the left panel, preview and select the files you want to backup on computer and click the button of "Export" button. Then, all the selected Samsung data will be exported to computer.